If you needed another excuse to sew this month besides National Sewing Month, how about Kids Clothing Week? 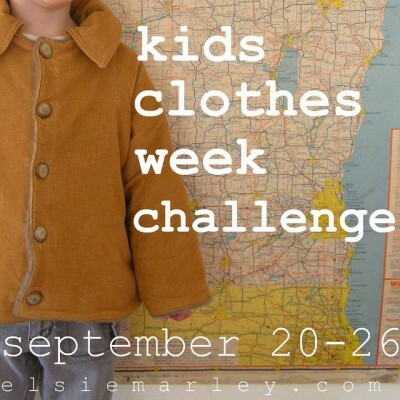 Elsie Marley is once again hosting her Kids Clothing Week Challenge, from September 20-26. See her blog for details.